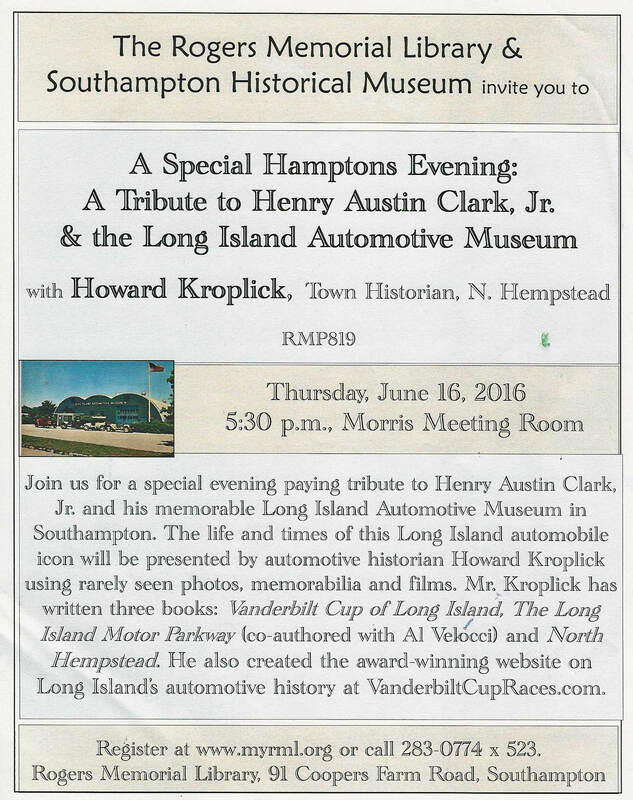 Vanderbilt Cup Races - Blog - A Very Special Hamptons Evening and Tribute to Henry Austin Clark, Jr.
A Very Special Hamptons Evening and Tribute to Henry Austin Clark, Jr.
Over 100 people came out to pay tribute to Henry Austin Clark, Jr. and the Long Island Automotive Museum last Thursday in Southampton. 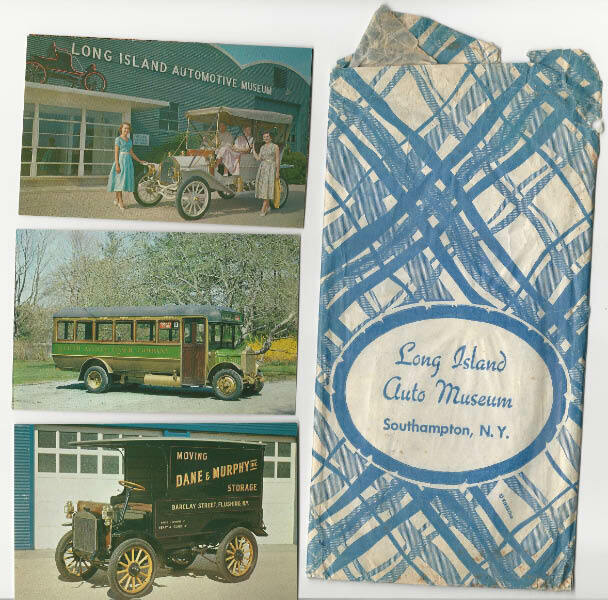 The capacity crowd included members of the Clark family, friends, former museum employees and fans of Long Island automobile history. As seen by the below highlights, it was a very memorable evening! 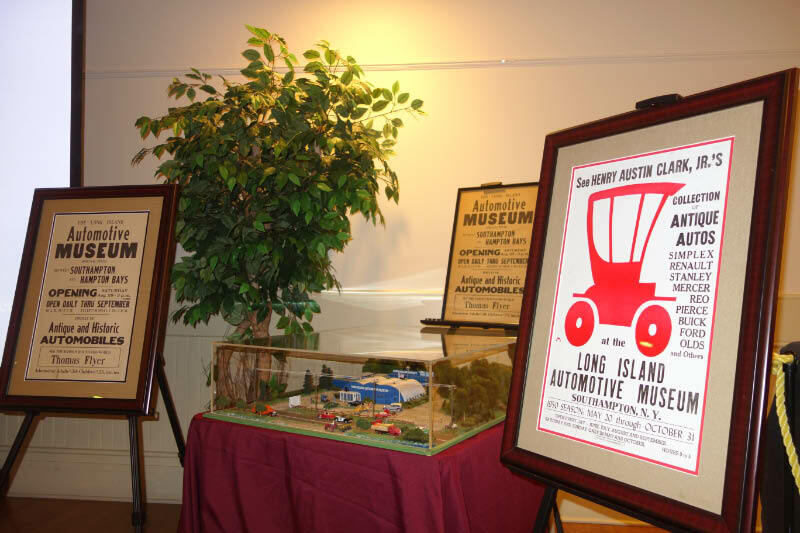 I had the honor of presenting the life and times of this Long Island automobile icon. 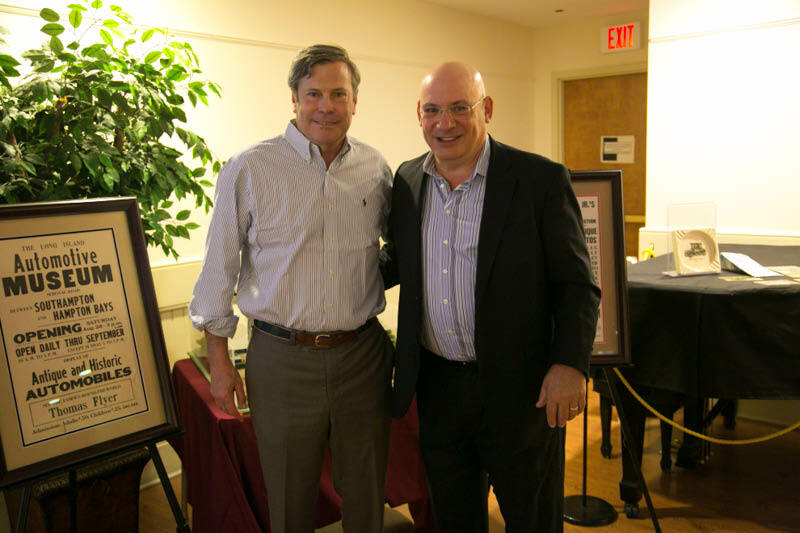 Hal Clark, the son of Henry Austin Clark, Jr., contributed several wonderful memories of his father. 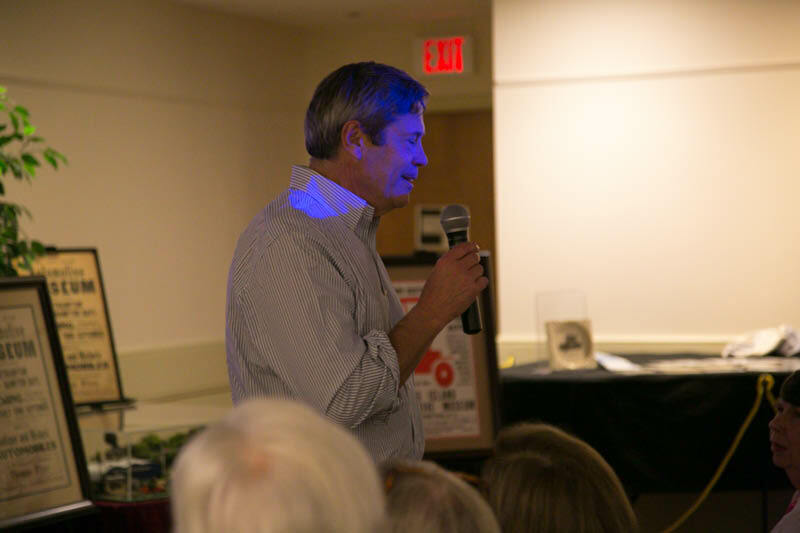 Author Geoff Gehman related his "Austie" stories from his book The Kingdom of the Kid: Gowing Up in the Long-Lost Hamptoms. 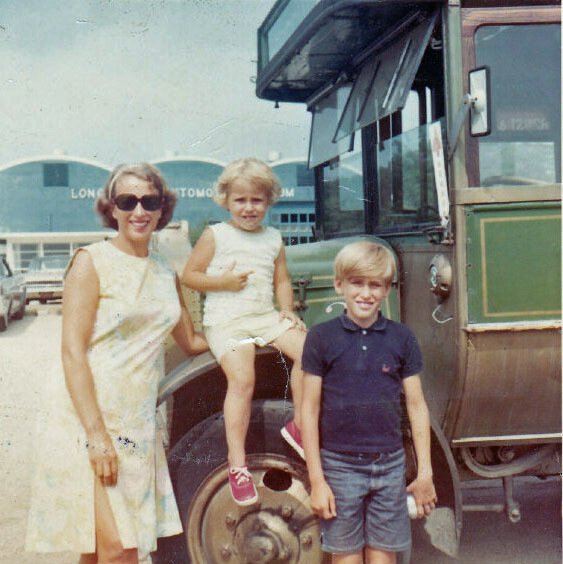 Geoff Gehman with his mother and sister at the Long Island Automotive Museum. 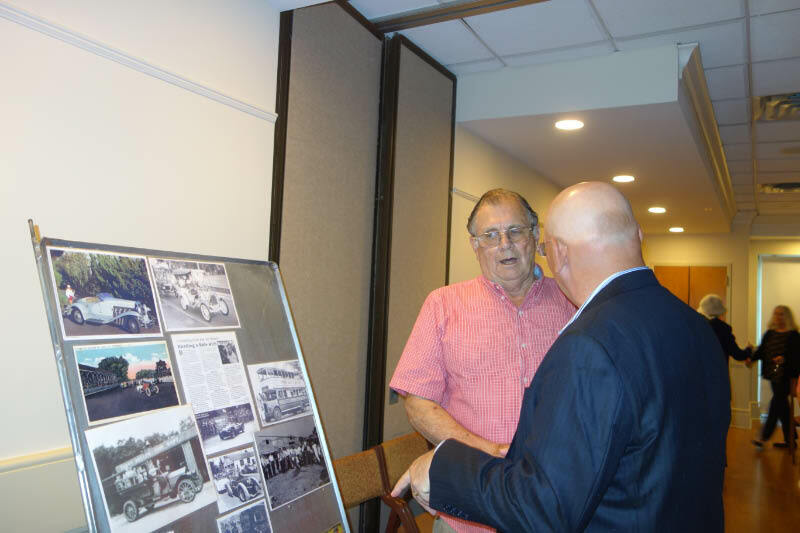 Swede Edwards, the "mascot" and former employee of the Long Island Automotive Museum, brought photos and a display. Over $500 was raised for Child Abuse Prevention Services. 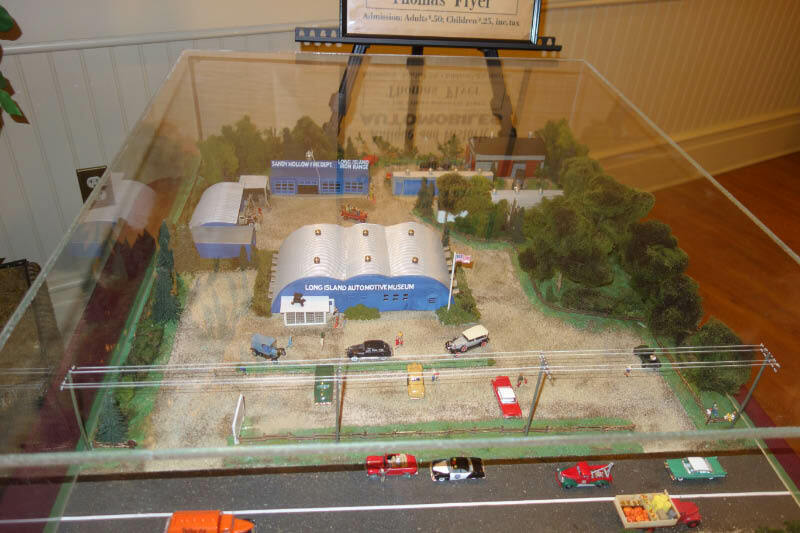 An amazing diorama of the museum by artist John Cuocco. Flyers courtesy of Stephen Lavinio. Postcards and an original shopping bag courtesy of George Krug. 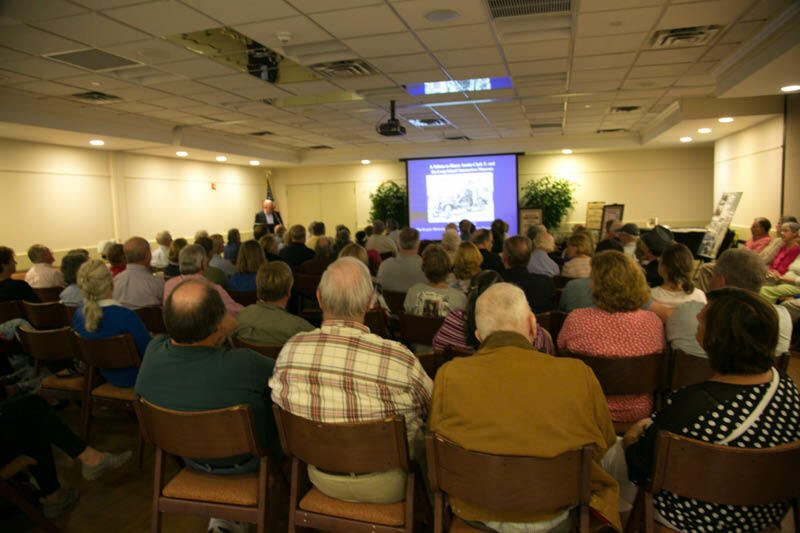 A note from Penny Wright, Director of Adult Programs for the Rogers Memorial Library. 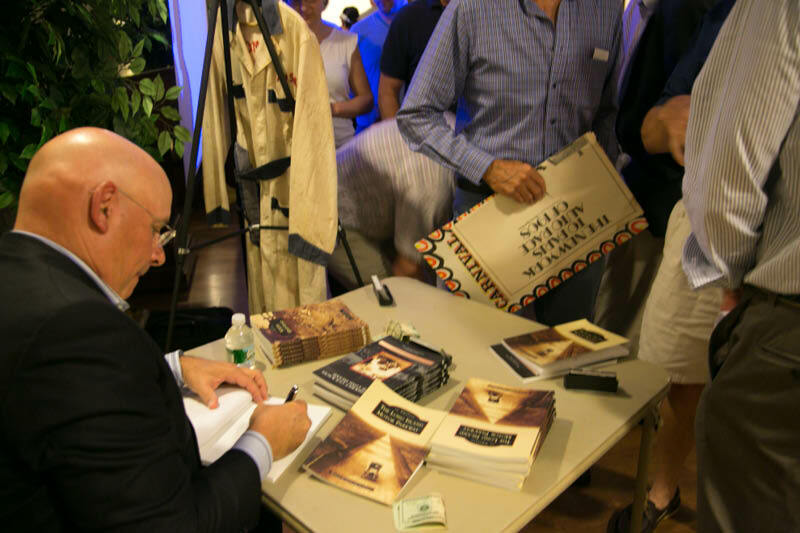 Was able to attend your tribute to HAC back in 2014, in Bethpage, and was going to attend last Thursday too, but I completely forgot! Sorry I missed it! I bet it was great! Looks like a nice size turnout too! 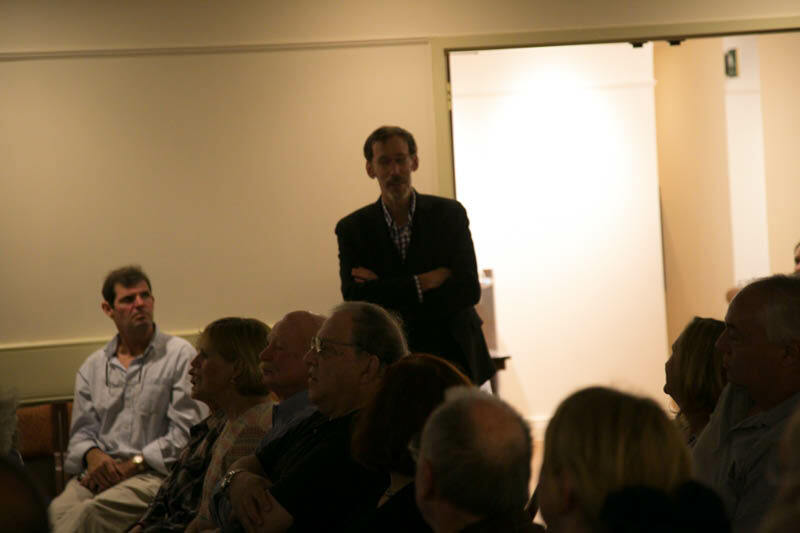 I enjoyed the event immensely to learn more about Mr. Clark from family and friends. While I frequently went to the track in Bridgehampton in the mid-60’s, I missed the opportunity to explore the Museum in its heyday. I never knew the connection between the track and Mr. Clark (he was a founding board member) so let’s hope Mr. Kroplick’s next history will focus on the race track. 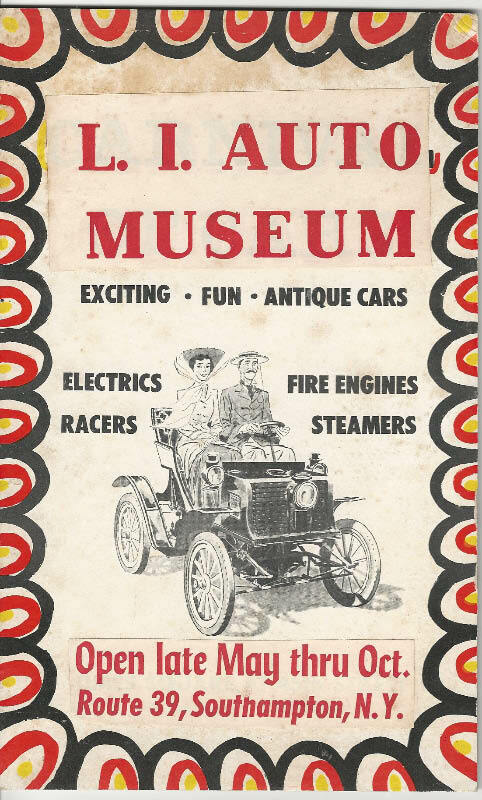 Is there any source to identify all the cars that passed through the Museum and their current whereabouts? What happened to the contents of the museum? Ron, documents and photos were donated to the Henry Ford Museum. 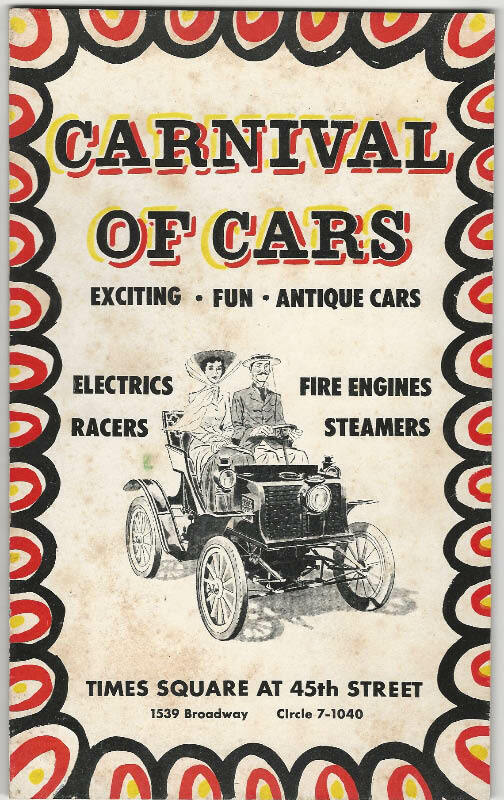 In June 2010, I had submitted a research question concerning whether anyone had an information about the 1902 Curved Dash Oldsmobile that was placed over the front entrance to the Museum. No comments were sent back to my question since that time. 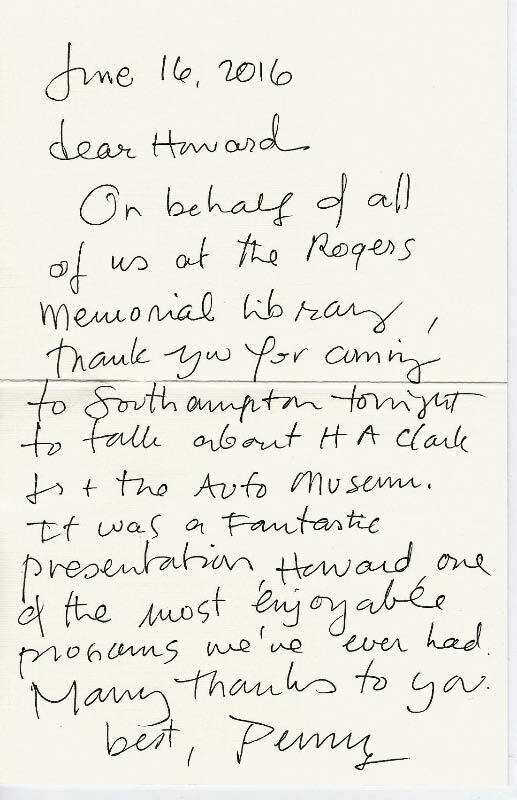 I see from this note about the special Hampton’s Evening that discussed prior friends, family, and employees were present at the gathering. Would it be possible to forward my comment directly to those in attendance that may have some knowledge about the Olds over the Museum entrance? I would greatly appreciate any help that you could lend. Thank you in advance for your assistance.